Google has become something of a slumlord. While Google+ has been accused of being a "ghost town," at least it looks pretty, even now after what feels like a long period of stagnation and un-addressed bugs. But Google+ isn't the most neglected neighborhood in Googleland. Where is the Blogger blog? Various parts of Google, notably Search, use Blogger to convey news about new releases and their development road map. Blogger is key infrastructure for Google itself. But where is the Blogger blog? Like some other semi-abandoned properties, Blogger no longer has frequent updates about features. If you want a history of Blogger and it's features, you'll have to rely on Wikipedia. Evidently there are ardent Blogger users who keep track of these things. Why does this matter? There are a lot of abandoned places on the Internet. Blogger, however, is emblematic of the problems that precipitated the departure of Vic Gundotra from Google+. Blogger and Google+ have a very valuable natural symbiosis. Potentially, Blogger and Google+ could unify long-form and short-form writing on the Internet. But, in reality, the execution fell short. The Google+ comment thread system was grafted onto Blogger, which needed a replacement for its own weak and spam-riddled comment system. But this falls far short of actually solving the problem of creating a unified space for discovering posts and discussions of varying complexity and lifespan. As we will see, this isn't the only missed opportunity. Yes, there is another social, post-centric, discussion thread tool at Google: Google Groups. It's easy to see why Google Groups is still used: You can get a concise listing of threads, organized by topic, with some particularly timeless threads "pinned" to the top of the list. Just the thing for discussing, among other things, features users want to see in Google products. In 2013, the Groups announcement blog announced there wouldn't be any more announcement blog posts because they had become too rare. So we are left with a situation where I can't get a threaded view of a discussion on Google+ and I can't get "bell" notifications from Google Groups. Slummy. 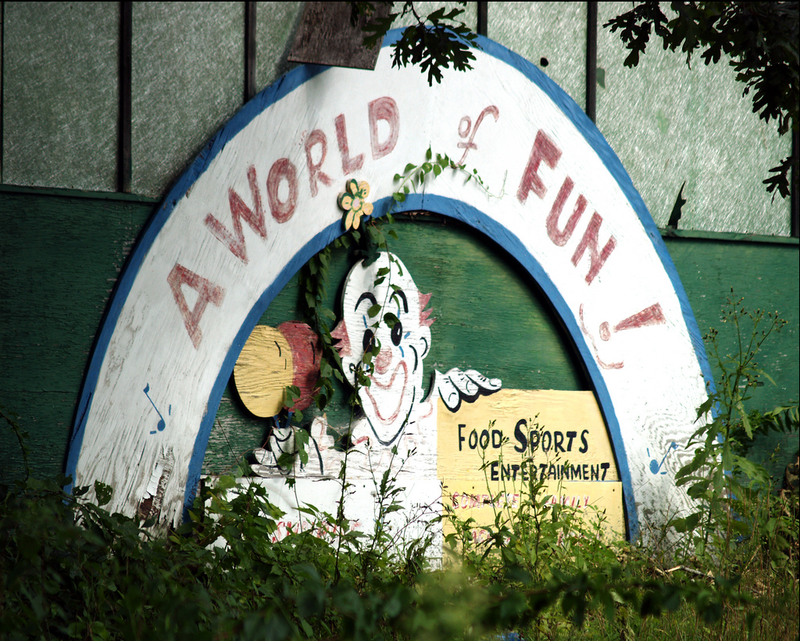 Sites is another abandoned-looking amusement park in Googleland. Stagnant functionality. Outdated templates. No blog. Despite Google having properties like Wallet, there are no easy e-commerce options for Sites. It's just a middle-of-the-pack Web site builder with a wiki-ish flavor to it. Web site builders is a field in which there are less than a handful of first tier players. Therefore being "middle of the pack" means you're not in good company. We got this far, without mentioning Orkut, a social network operated by Google, with minimal integration with other Google properties (e.g. no "bell" in the strip at the top of the screen), that has a Turkish name and is big in Brazil and big-ish in India. With presumably limited resources, the look and feel of Orkut remains charmingly MySpace-like. If Facebook is expanding internationally, how does an opportunity to integrate an international audience into Google+ keep floating out of reach? YouTube is a social network. But here Google should have taken a tip from Facebook. YouTubers are mostly not Plussers, in the way that Instagram's hipsters are not Facebook schoolgirls. Facebook had the good sense to leave that situation alone. Instead, Google+ enforced strong identity on a trollish population. It's easy to see why that would be a thankless task, and a dumb move in an attention economy where "thanks" is the currency. Product management in technology companies is a distinct function that sometimes gets rolled up into program management, project management, or even engineering management. But many of the above listed problems are the result of product management failures. The product manager is sometimes called the "product owner." He is meant to make the product competitive against specialist competitors, and balance the interests of "his" product against the sometimes abstract advantages of integrating with other products under the same roof. In the egregious cases listed in this post, even the basic functions of competitive analysis seem to have been lost. That is either a product management failure or a senior management failure in deciding to keep products while starving them below a competitive level of resources. Lackadaisy or willful neglect, or both, are what turns some products into Internet "slums." Let's do a little product management exercise and take an inventory of what Google owns, and the relevant characteristics. We'll leave Orkut out because it's largely redundant in every characteristic to Google+. What does this table suggest? The main problem that jumps out at you from this table is that comment integration is weak integration. It doesn't deliver a lot of value and it doesn't solve the key problems for user-generated content. Meaningful, useful integration that improves the user experience must be deeper integration. All these properties have social characteristics, but comment integration is peripheral to social-centric services. With Orkut, Google has six social properties, at least, before we get into things like social documents and social coding. With Google+, social became a pariah within Google for taking on the wrong integrations with the wrong products in the wrong order. Comment integration was weak, and with it came identity integration that was, in the case of YouTube a source of deep dissatisfaction. It's bad form, and just plain a bad idea, to go an mess with another product's community. Integration should have started deeper, with the content database and update stream. Then with a gentle, optional, merging of identity, and adding the group-management features of Google+ Circles. Comment integration is then a minor issue. Each product can retain a distinctive set of views outside the chronological fast-flowing river of the update stream, thereby both merging and keeping distinctive the persistence characteristics of each property. You can think of that as multiple views into unified content, or a "model/view/controller" (MVC) approach to viewing the same model through multiple views. Google's biggest opportunity is to create the best user experience for user-generated content across Web sites/wikis, discussion group, blogs, videos, images, and the social update stream, and along with the content continuum, integrate (carefully! )the management of participants and their comments and collaborative participation. Almost everything has a social aspect, but Google somehow missed the deeper insight once Google+ latched on to comment integration as the feature it would take across properties. One more thing about Google+ and integration with other Google properties: Android. GMail is great on Android. The GMail Android interface is richer than the Web interface. Maps is magical on Android. Keep is simple but awesome on Android. And what's the big thing in social networks now? Mobile. Google+ is mediocre on Android. That's not how to make a product succeed at Google.